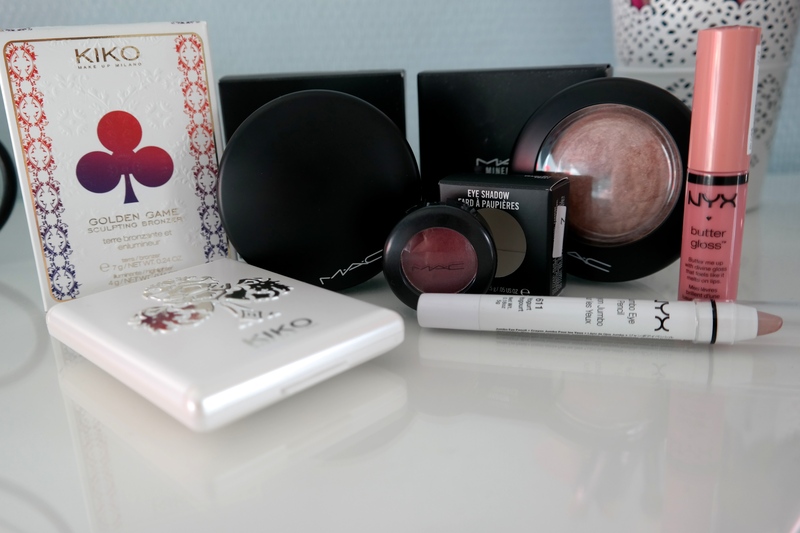 Just as promised today’s post is a haul of all the make up items I purchased while in London. To some people it might look like I got a ton of stuff but I’d been saving up a bit and used some of my Christmas money to buy these things. Since moving to the Netherlands for my BA degree I unfortunately have to miss out on most of the brands included in this haul as they are either not available in the Netherlands or very hard to find, so obviously I had to take this chance to finally be able to buy some of their products again, right? I think that’s a totally valid point! Anyway… let’s get into what I bought. 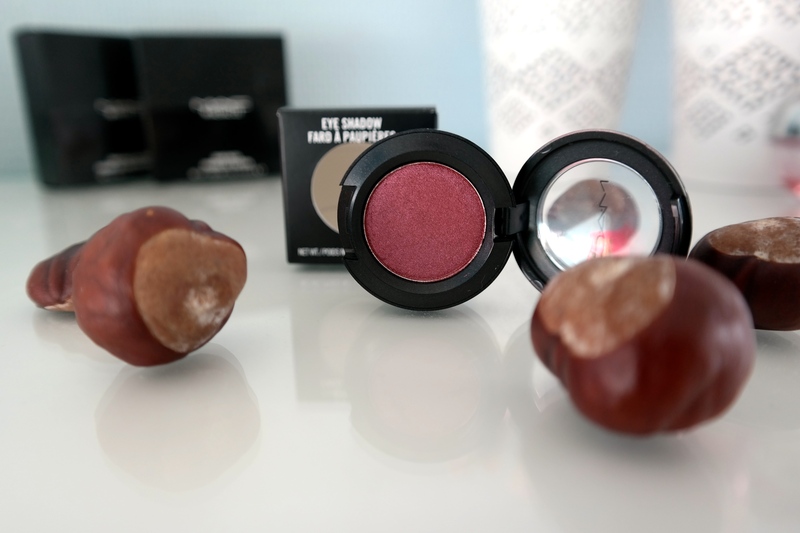 One of the first things I bought were these 2 lip butters in the shades Sugar Plum and Candy Apple. I love the Revlon lip butters and can’t get enough of them and since they were on a 2 for 10 offer I needed to add two more to my collection. 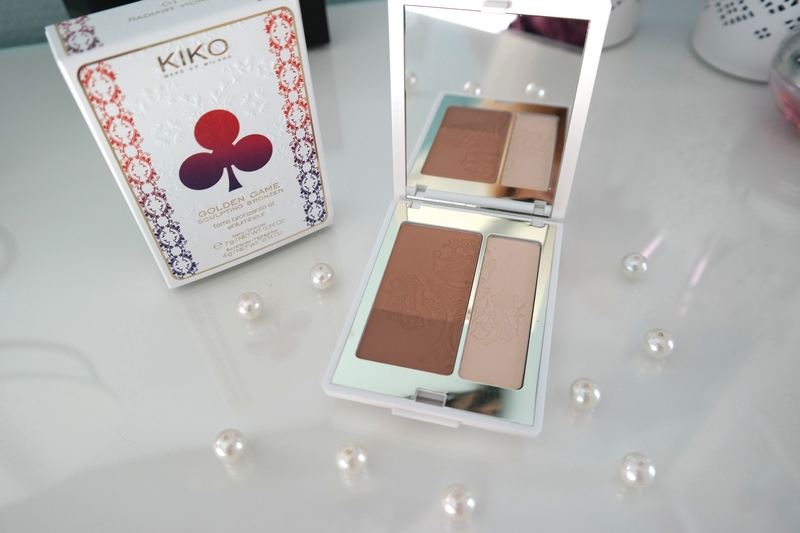 When I spotted this it straight away reminded me of the Bobbi Brown Shimmer bricks (which I totally love), so I wanted to give it a go. This seems like a pretty versatile palette, which you can probably use as a blush, highlight and even as eyeshadows. The shades look gorgeous, so I can’t wait to give this a proper go. However, as much as I like Revlon products, after hearing about the nasty racist comments Revlon’s CEO apparently made, I don’t think I’ll be getting any more Revlon products for a while. After becoming totally obsessed with the Make Up Revolution Flawless Palette I really wanted to get another one. I have a bit of a thing for shimmery eyeshadows and definitely am lacking in the matte eyeshadow department, so I figured getting the matte essentials palette would be a good thing. I’ve used it a few times now and so far I’m loving it. You can never go wrong with some matte basic eyeshadows after all. Am I right? I don’t own a lot of bronzers and I don’t own a single baked one. This bronzer just looked gorgeous and it was only 4 pounds. I think it’s pretty self-explanatory why I got this! I have a few bronzer and highlighting palettes made for contouring but I don’t have own that includes a blush as well. This little palette is put together especially for fair skin (which I have without a doubt) and it’s super handy for traveling. I’m pretty sure I’ll be getting a lot of use out of this one. 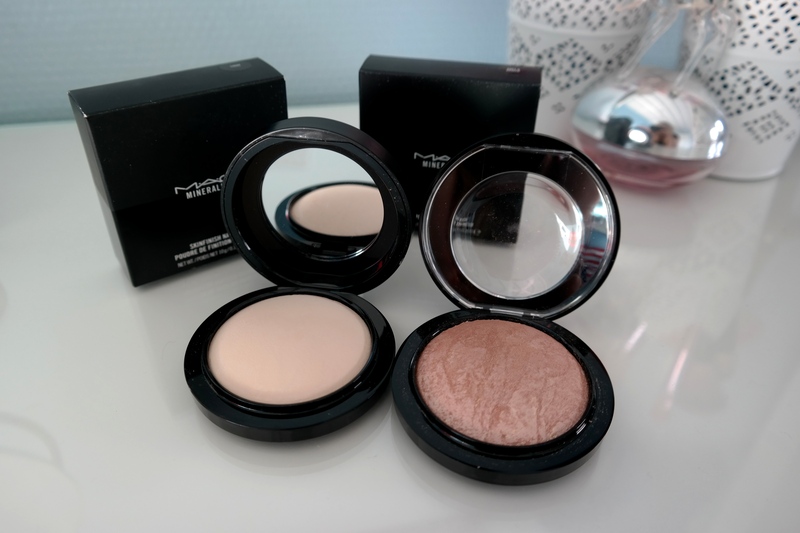 Not too long ago I reviewed or more like raved about my Blush By 3 palette in Pink Lemonade and I said that once I’d go back to the UK I would need to get more of these. Well, I did. Though I didn’t get the one I originally wanted. Actually I wanted this palette that included dark berry and red shades but I accidentally grabbed the wrong one, so you can probably imagine my surprise when I opened it up in the hotel room for the first time and saw 3 bright oranges. I have a few peach blushes but not a single one that is this orange and I have no idea whether these will even suit me (probably not) but I guess I’ll just play around with it a bit and see if I can put them to use. I have to admit though these colors look a bit scary in the pan. They are so freaking bright. I read a review about this one a few weeks ago and thought this palette looked absolutely stunning. In reality it looks even prettier and I’m so excited to have this. It might be one of my favorite things I bought while in London. I feel like just about every beauty blogger out there has this and it took me 4 trips to the UK to finally get my hands on it. 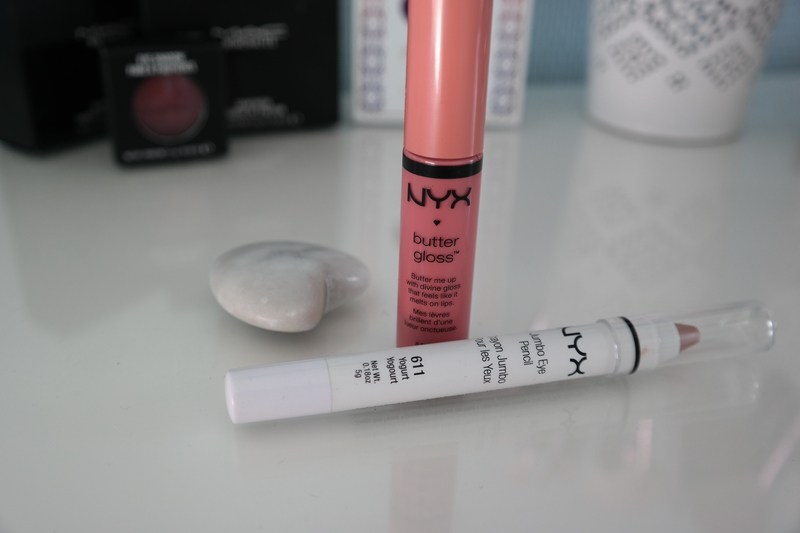 Every single time I went into a Boots or Superdrug it was always sold out and when I finally saw it this time I grabbed it right away. It’s just such a gorgeous perfect red shade. This is hands down one of my favorite concealers, so every time I travel to England I stock up on this as I can’t get it over here. I’ve actually bought 3 of these but one is already in use and looks crappy already. Tom Ford lipsticks are the one thing I’ve been wanting for months now but never felt brave enough to splurge on. Over here they are a whooping 47€! I mean, what even? Still they are incredibly gorgeous and I just wanted one so badly. Since I was in London and I had some money from my budget, of how much I wanted to spend, left I finally gave in and bought one regular Tom Ford lipstick in the shade Indian Rose and one of the Lips & Boys collection in the shade Flynn. Both are just stunning! I decided to go with more neutral shades as I think I’ll definitely get more ouse out of those and if I do spend a little fortune on a lipstick I want it to be one I know will actually be worth it. This now concludes my not so little haul. I hope you enjoyed reading this. If there is any particular item you would like to see a review on or used in a make up tutorial be sure to let me know. So I have’t blogged in a few days because life has been a little hectic lately and I had some personal stuff going on. At the moment I don’t have time to blog daily because of personal reasons but I hope that I can go back to my usual schedule asap. Please bare with me! As you may or may not know I’m currently back home from University at my parent’s house. They live in this yeah.. well it’s a tiny small town and when I say tiny I mean absolutely tiny. We’ve moved around a lot and never settled down anywhere until 2009 when my parents decided to buy a house in one of the smallest towns I’ve ever been in. (No idea why?!) I think there are more horses and cows around here than people. It’s nice to be in the country side every now and again but, man, I’m glad I live in a city. Anyway.. don’t want to bore you guys. My point is that despite living in a small town we do live around 20 minutes away from a pretty big town so it’s not that bad and my mom and I went on a little shopping trip there with my brother. The cool thing is they have a Mac store, which is really exciting to me. I just love Mac and I planned on buying a new lipstick. I’ve been debating whether to buy Mac Morange or not. I absolutely love unique lip colors that not everyone wears (or at least no one where I lived and went to high school for 2 years, cause it’s a small town ya know?). I have bold reds, dark reds, bright pinks. Basically a lot of colors that really stand out but for an unknown reason I’ve always stayed clear of orange. I guess I thought it wouldn’t suit me. But I kept seeing Mac Morange all over other blogs and on Instagram so I just decided to buy it cause I have no will power. Sad, I know. I’ve worn it twice already and yeah I’m in love. It’s such a great color for summer and it looks so good with this kimono I got recently. Another thing I got from Mac is the lip pencil in Vino. I got the lipstick Mac Diva not too long ago on my trip in Chicago. 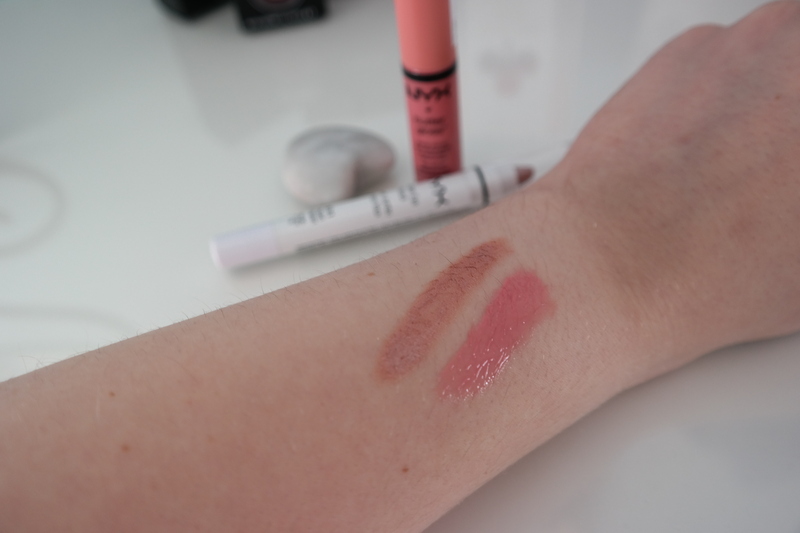 I love the lipstick but it stains your skin so easily and when it fades it doesn’t fade equally. Hence I decided to get a lip pencil. I usually don’t really wear lip pencils. I can’t really be bothered to invest that much time and my lipstick usually stays in place but I feel like for Diva a lip pencil is kind of necessary. One thing I’ve been dying to try is the Estee Lauder Double Wear foundation because I’ve heard so many amazing things about it. Apparently it has really great coverage and lasts all day. I just got it yesterday, so I haven’t actually used it but I’m so excited to try this. This sounds so sad but it will probably be the highlight of my week. Okay this really does sound sad… oh well. Okay guys! HOW ADORABLE IS THIS MINI LIPSTICK? Like seriously how cute is this? Like I can’t even.. like I’m in love.. like seriously in love. Sorry, back to normal writing, but I just can’t get over this mini lipstick. The incredibly nice store assistant that helped me match the Double Wear foundation with my skin gave me this adorable Lancome mini lipstick sample thingy for free. It made me so happy. I think it’s so cute and the color is really pretty. Perfect to fight in any clutch for a night out. The store assistant was so nice she even gave me a pretty big sample of this really good smelling moisturiser and a purse holder. I think that’s pretty cool. This just shows that there are still some really nice people out there. Sometimes when I walk into a fancy cosmetic store the people working there don’t even look at me and when I ask them a question they react so unfriendly and are so arrogant it’s almost like they are trying to scare away their customers. Anyone else who sometimes has that happen to them? That’s it already for my little haul. What have you been buying lately?